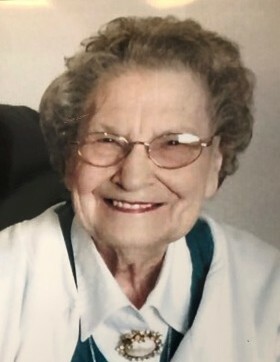 Eva “Jeannette” Higginbotham, age 94, went to be with the Lord on January 26, 2019 surrounded by her loving family. She was born in Montra, Ohio to the late Ben and Stella (Ambos) Platfoot on April 3, 1924. Jeannette was the youngest of 5 children and grew up on a farm just outside of Montra. She was a lifelong member of Emanuel Lutheran Church, Montra, Ohio. She enjoyed sports during school and was on the high school Basketball team. She graduated from Jackson Center School in 1942. She was engaged to Levan Stockstill who Served in WWII and was killed at Iwo Jima. During the war she worked at Stolles in Sidney, OH. She married Howard Higginbotham, a WWII Veteran who was a Paratrooper at the Battle of the Bulge, at Emanuel Lutheran Church October 30, 1948. They had three children: Bonnie Kay (Steve) Watkins of Sidney, Carol Jean (Steve) Kinninger of Sidney, and Lisa Jo (Alvie) Tucker of Clearwater, FL. Jeannette retired from Wagner Manufacturing in Sidney. She met her husband Howard at a roller staking rink, which later became a favorite activity they enjoyed with their children as well as travelling with their camper as far as Washington State, Florida and Canada. Jeannette loved spending time with her family and friends and will be fondly remembered by her family. Her daughters are thankful to have had two wonderful parents who shared their love of the lord, took them to church as a family and showed them kindness and love. She is preceded in death by her husband Howard Vincent Higginbotham on January 22, 1997, her siblings: Thurman (Ester) Platfoot, Arietta Platfoot, Stanley (Hazel) Platfoot and Viola “Susie” (Ned) Maxwell, and one grandson: Mike Tucker. She is survived by grandchildren: Darby Watkins, Jenny Mercado (Chris Hamm), Laura (Wes) Hurley, Chelsie Steinke (Lindsay Nichols), Tyler Tucker (Joslyn Gebby), Whitney Tucker, Ryan Tucker (Amy Bollman); great grandchildren: Kennadie Steinke, Bayleigh Steinke, Makayla Hurley, Kaleb Hurley, Mika Tucker, Jayda Tucker, Ethan Tucker and many nieces and nephews. 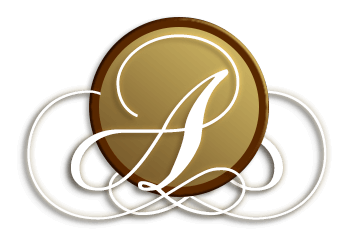 Adams Funeral Home will be caring for the needs of the Higginbotham family. Visitation will be at 10:00 a.m. at Emanuel Lutheran Church Montra, Ohio on Friday, February 1, 2019. Funeral Service will be at 11:00 a.m. with Pastor Dave Sanders officiating. Interment will follow at Cedar Point cemetery in Pasco. Memorial contributions in Jeannette’s honor may be made to Emanuel Lutheran Church.